The bigger, stronger Fiji team took off for a 21-14 victory over the United States in the semifinals of the USA Sevens rugby tournament at Sam Boyd Stadium. Danny Barrett shaked and baked his way into the try line, left two Fiji players on the ground and ignited the “USA” chants from the home crowd at Sam Boyd Stadium. Barrett’s score put the U.S. rugby team in an early tie with Fiji in the USA Sevens semifinals on Sunday. Unfortunately for the Americans, the dazzling play might have awakened the Warriors. Fiji picked up the intensity on tackles and tossed around the Eagles across the pitch. The bigger, stronger Fiji team took off for a 21-14 victory against the U.S. to advance to the finals against Australia. Perry Baker scored a last-second try to make the final score easier to look at for the U.S.
U.S coach Mike Friday wasn’t happy with some of the hits his team took from Fiji. Fiji did get penalized on one play and was down a man early in the second half. 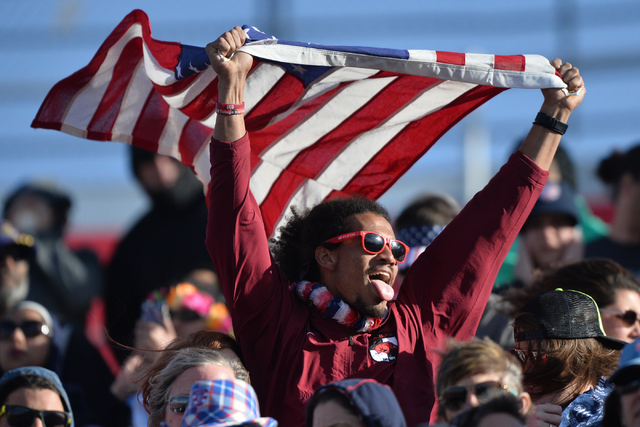 The U.S. didn’t capitalize, and Fiji extended its lead to 21-7. The U.S. finished fourth in Las Vegas for the second consecutive year. The Eagles fell to South Africa 21-10 in the bronze game. 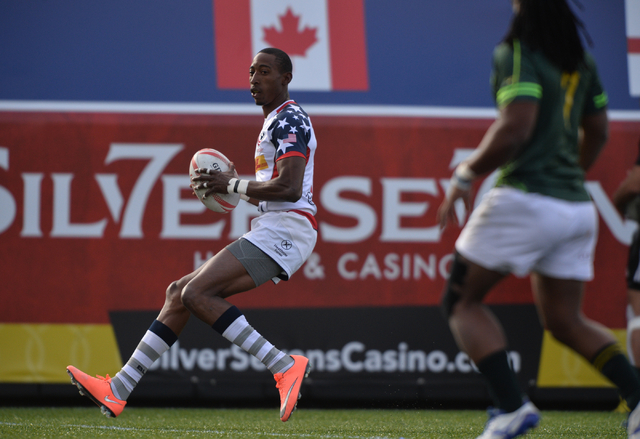 Friday and his team had plenty of highs and lows during the USA Sevens three-day competition. The Americans started with a win against Wales but followed with a collapse against Canada for a tie. 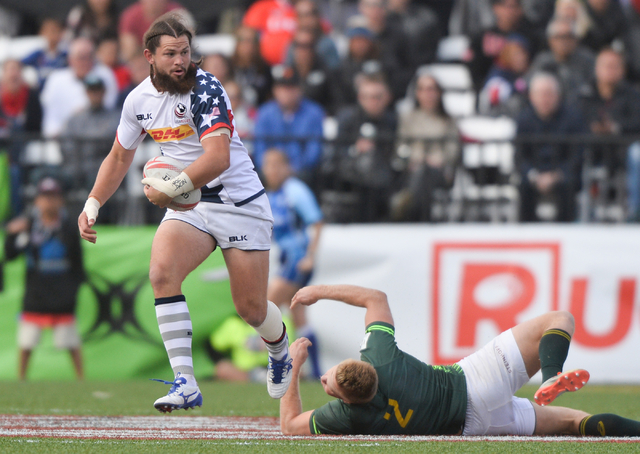 The U.S. laid an egg versus South Africa in the final pool match Saturday, but quickly recovered to defeat Kenya in the quarterfinals. “I think the attitude, the work ethic and the commitment to stay in the fight was there,” Friday said. “It was a brutally difficult tournament from start to finish.